Where do settlements go when A2X sends them to QuickBooks Online? Handy Hint: To enable auto-posting, go to A2X Settings > Auto Invoicing > Enable Auto-posting Settlements). 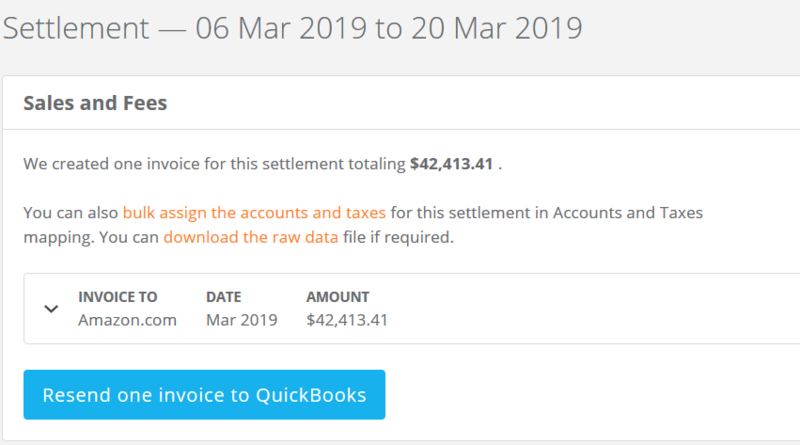 As you see above, the journal for $42,413.41 has been auto-matched by QuickBooks Online, because the amount of the journal matches the amount of the settlement deposit amount. All you need to do is click 'Match' and the settlement will be entered into QBO and reconciled to the bank deposit. Since the settlement period actually covers two months, A2X splits the settlement to ensure your sales and fees are accounted for in the correct month. When you send it over to QBO, you will have two journals dated accordingly. 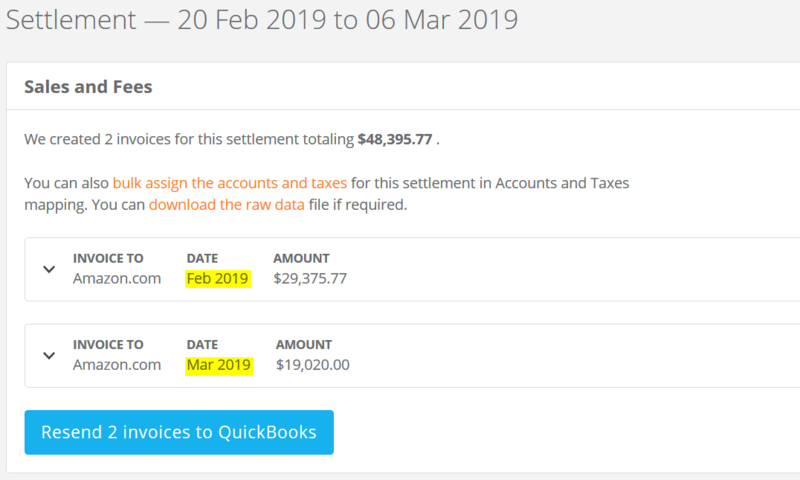 The journal for $48,395.77 has been auto-matched by QuickBooks Online, because the amount of the journal matched the amount of the settlement deposit amount. If you sell in multiple marketplaces with different currencies in Amazon, you've noticed that settlements are always in the currency of that marketplace (e.g Amazon.co.uk settlements are in GBP and Amazon.com settlements are in USD). Amazon offers a currency conversion feature, which you can enable and let Amazon convert the marketplace currency of the settlement into your preferred currency right before they pay it out to you. Let's say your home currency is USD. By default, QBO will not recognize that the $7,942.32 USD payment from Amazon is actually for the journal amount of £6,153.87 GBP. 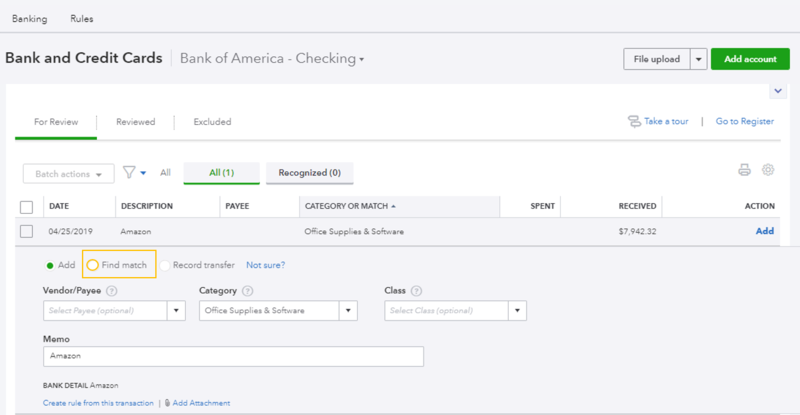 When you expand the transaction line panel in the QBO banking screen, you will see the radio button 'Find Match'. This will trigger QBO to look for transactions in other currencies. We just select it to tell QBO we want to match the USD deposit to the GBP journal entry, click 'Save' and that is it - reconciled! If you have further questions, feel free to reach out to us at contact@a2xaccounting.com. We would be glad to help you.